A total of 3,226 homes were sold last month in Metro Vancouver, and while that’s 6.5 per cent above the 10-year sales average for July, the Real Estate Board of Greater Vancouver (REBGV) says it’s a drop of 26.7 per cent from June. It’s also a year-over-year fall of 18.9 per cent, and the first month since January of this year that fewer than 4,000 homes have been sold in the area. Sales of detached homes saw the steepest decline at 30.9 per cent year-over-year, while attached home sales dropped 20.7 per cent and apartment sales sank 7.37 per cent. 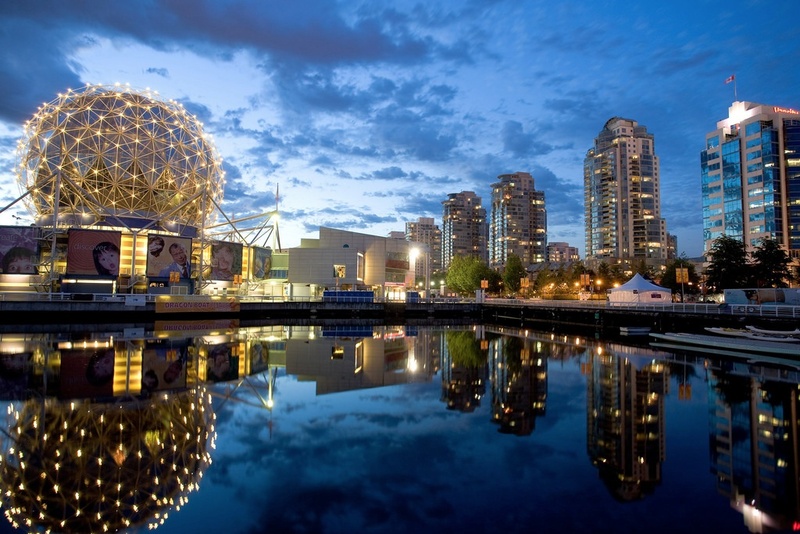 The BC government recently mandated that foreign buyers pay a 15 per cent tax when buying residential properties in Metro Vancouver, and some market watchers have suggested it may be the reason home sales slowed so dramatically between June and July. However, comments from REBGV President Dan Morrison suggest sales had already begun to ease before the tax was announced. But while home sales appear to be trending down, the same can’t be said for housing prices. 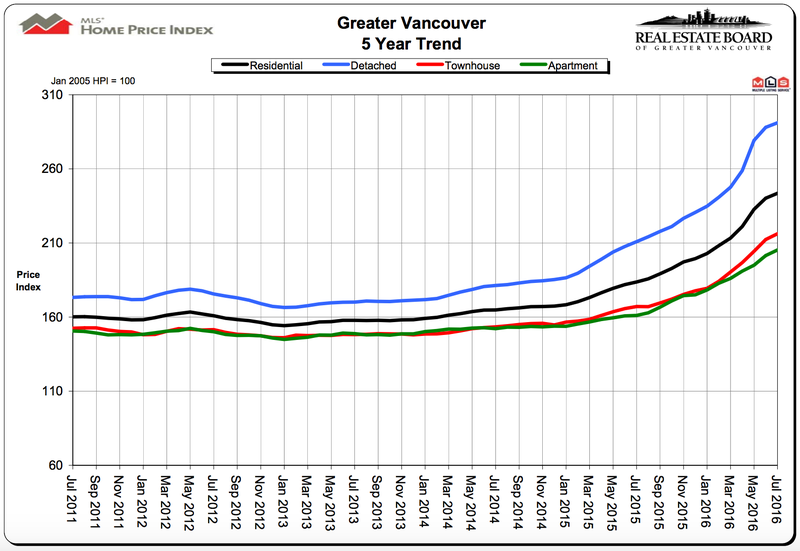 As the chart above shows, the MLS Home Price Index composite benchmark price for all Metro Vancouver homes is currently sitting at $930,400, up 32.6 per cent year-over-year and 1.4 per cent from the previous month. All home types saw substantial year-over-year benchmark price increases in July, but detached homes recorded the biggest jump — the benchmark price for a detached home rose 38 per cent to reach $1,578,300 during the month. Meanwhile, the benchmark price for an attached home hit $669,000, an increase of 29.4 per cent, and the benchmark price for an apartment was $510,600, a rise of 27.4 per cent. Those price increases are best explained by looking at July’s sales-to-active-listings ratio. It came in at 38.6 per cent, well above the range of 20 to 22 per cent when home prices begin to experience upward pressure.